With an atmosphere of comfortable elegance, tantalizing dining options and dazzling entertainment, your stay on board Grand Princess will be anything but ordinary. Relax at The Sanctuary, a tranquil haven reserved for adults, enjoy Movies Under the Stars® poolside or experience something new with our Discovery at SEA enrichment programs. 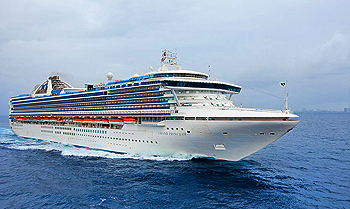 View all Grand Princess cruises, view a selection of Princess cruise deals, or view more options for Princess cruises. Choose the blissful pampering of a facial. Let the trained fingers of a massage therapist sooth your muscles while working fragrant oils into your skin. Enjoy therapeutic water treatments as you steam in a thermal suite or bathe in exotic herbs. All this while cruising to exotic destinations and enjoying other Holland America’s Statendam onboard experience indulgences. The Loft and The Oasis: designed exclusively for teens (13 – 17) to have fun, socialize and hang out with people their own age. When you’re not quite ready to call it a night, check out one of the ship’s best late night spots, The One5. Recorded DJ music gets you up on the dance floor and the inviting decor lends itself to a little relaxation with a cocktail and conversation. And when the music begins to wind down, night owls can still linger at the bar. Drink, dance, and keep the party going into the wee hours at The One5, your after-hours dance club.